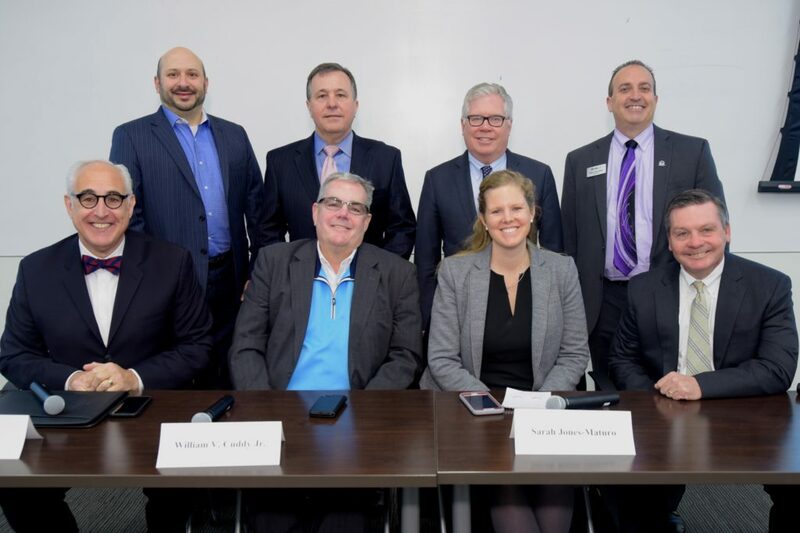 WHITE PLAINS—A record crowd of approximately 150 real estate professionals attended the annual Commercial Broker Roundtable presented by the Hudson Gateway Association of Realtors’ Commercial Investment Division on Jan. 23. The panel of veteran commercial brokers who do business in the lower Hudson Valley and New York metro region, were upbeat at the session held at the White Plains headquarters of the Hudson Gateway Association of Realtors about the commercial markets in Westchester County and points north in Rockland, Orange and Putnam counties. CID President John Barrett moderated the panel that included Paul Adler, chief strategy officer with Rand Commercial; William Cuddy, executive vice president with CBRE; Sarah Jones-Maturo, president of RM Friedland and Glenn Walsh, executive managing director with Newmark Knight Frank. Barrett also serves as senior vice president, managing director of investment sales at RM Friedland. While all panelists expressed concern over the new natural gas hookup moratorium imposed by Con Edison five days earlier, some of the key talking points included the continued positive impacts of adaptive reuse of outdated office buildings in the region and particularly in Westchester County, significant investment and development of multifamily and mixed-use projects in the region and the dominance of small to medium-sized business growth as drivers of commercial real estate activity. While multifamily development should continue if the natural gas shortage issue is addressed, the market is still not ready for any new office construction in Westchester County, they noted. Walsh said that in 2017 large lease transactions fueled the market and led to the county posting an overall positive space absorption for the first time in years. 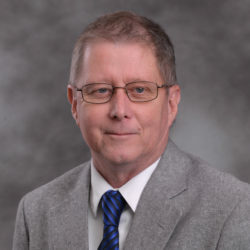 He noted that in 2018, the county once again achieved positive space absorption, but last year “was a much healthier market,” because it was done with small and mid-sized deals. The largest lease transaction in 2018 was a 30,000-square-foot sublease, as compared to 2017 when Fuji’s expansion and lease renewal of 120,000-square-foot in Valhalla was the largest transaction in Westchester County. He added that in 2018, a majority of the deals were 25,000 square feet and below and the 10,000-square-foot and lower sector was the best the market has seen in years. There was significant growth in the Eastern section of Westchester and in Downtown White Plains. The western section of the market is now showing significant activity now that building ownership has stabilized and some owners are undertaking capital improvements in their properties. “We’re projecting another good year for Westchester County, albeit maybe a little different than the national market,” Walsh said. Both Walsh and CBRE’s Cuddy agreed that the conversion of outdated Class B and C buildings to other uses has benefitted the market. At its peak, the office market in Westchester totaled 33.3 million square feet, today the market totals approximately 26 million square feet. Cuddy noted that in the past three years, 37% of all Class A and B buildings in Westchester County have changed ownership. Cuddy and Walsh pointed to a number of notable capital improvement projects, including the successful repositioning of the Boyce Thompson property in Yonkers by Simone Development, as well as the upgrades being undertaken at the Gateway and White Plains Plaza office properties in White Plains. Cuddy said that because of the current market dynamics, CBRE expects rents in Westchester County to rise 4% in 2019. Rand Commercial’s Adler focused on the Rockland and Orange County markets in his presentation and noted that there are great shifts in the markets. He said that Orange, Dutchess and Putnam counties are seeking increased activity from industrial users from the Bronx moving north. In Orange, Dutchess, Rockland and Putnam he said there is a lot of ground-up activity due to the lower costs as compared to locations to the south. Adler revealed that Rand Commercial is currently representing the Town of New Windsor in the potential sale of approximately one-third of the land at Stewart International Airport. He also said that at present, service sector and data center users are very active in Rockland County. Adler also noted that Bradley Corporate Park in Blauvelt also will be changing hands in 2019. Jones-Maturo, while noting that millennials are driving the demand for new multifamily product in New York City and major urban centers in the region, their interest will die down with age. The sponsor of the CID broker roundtable was Webster Bank.